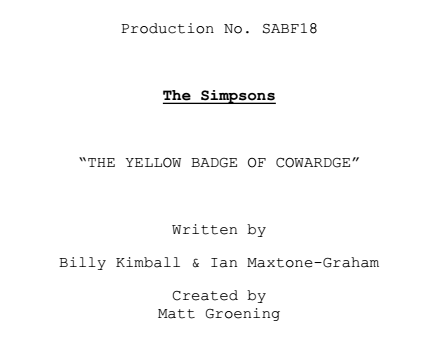 "The Yellow Badge of Cowardge" was the season 25 season finale and its 22nd episode airing on May 18, 2014. "Bart is plagued with guilt when he wins the annual “last day of school” race around Springfield Elementary, with an assist from Nelson, who beats up frontrunner Milhouse. 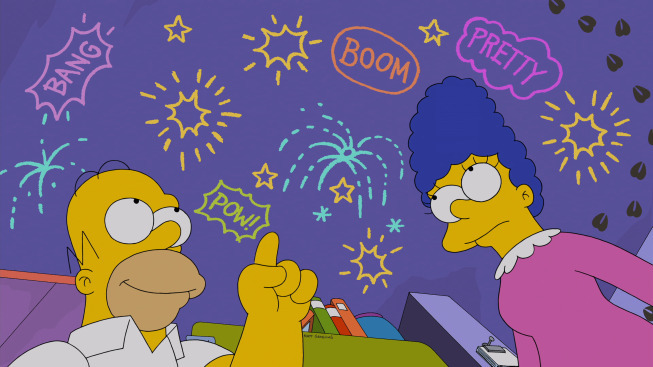 Meanwhile, Homer tries to bring back the annual 4th of July fireworks display after it’s canceled for budget reasons." In celebration of the last day of school, Bart wakes up the family by banging pots and pans together. 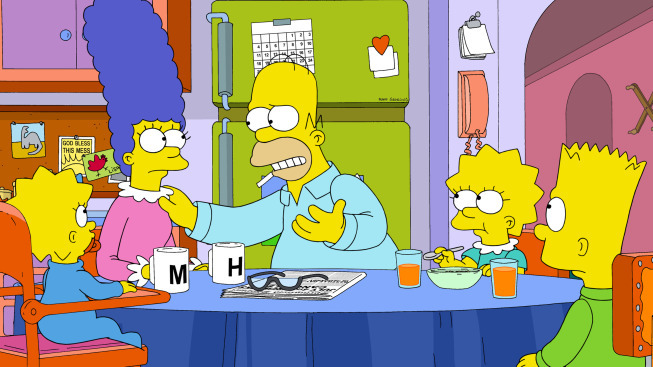 Even though Homer initially says that he has a plan of making Bart go to summer camp, Marge points out it is a prison road crew in the picture. 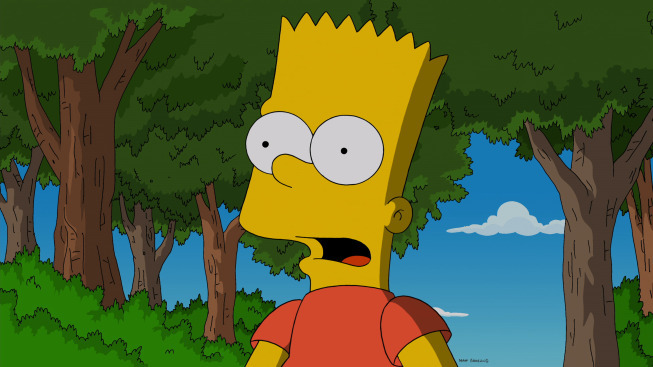 Bart interjects that he did that last summer, and he is not allowed back. The family convenes in the kitchen, where Homer discovers, while reading the local newspaper, that the Fourth of July fireworks has been cancelled, due to the fact that the city is broke. He sets off to find the man who performed firework shows when he was a kid. Meanwhile, Springfield Elementary has their annual Field Day festivities, where kids learn to balance eggs on spatulas and have their ankles tied to someone who does not care two cents about them. 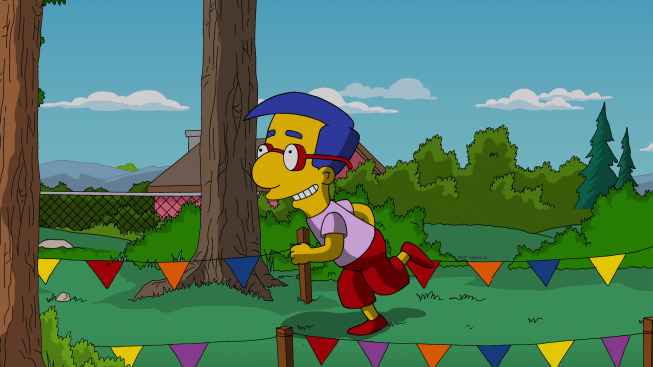 The race around the school prompts everyone to do their best, including Milhouse, who has been practising for this race. Milhouse reveals to Bart he has been training, but Martin overhears this secret. 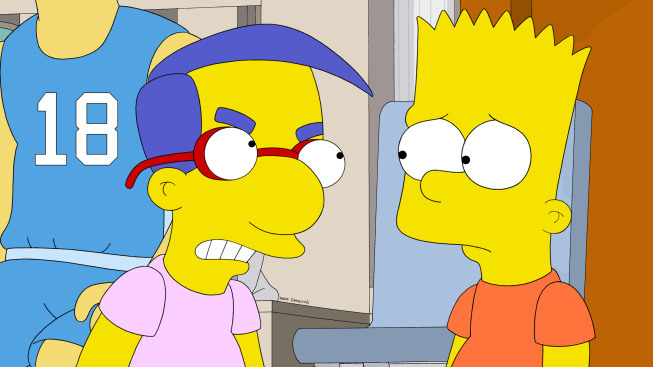 Martin then wagers his money on Milhouse to win, potentially bankrupting the bullies because of the tremendously long odds against Milhouse. As each student runs during the race, Milhouse leads the pack before Nelson and the bullies plan to knock some sense out of him. 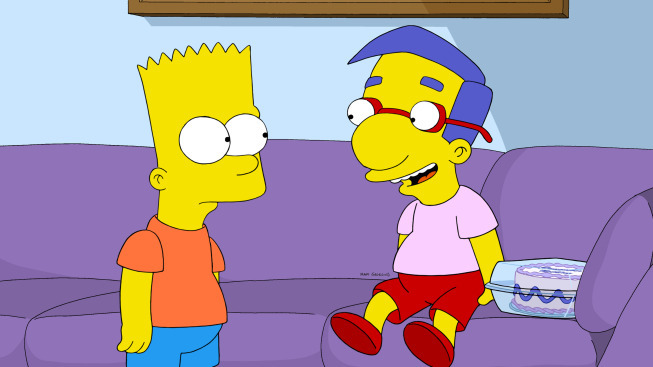 When Nelson awaits for Milhouse at the pivotal turn of the race, he hands Milhouse a cup of water before hitting him. Bart sees this, but runs ahead of the race to win first place. After Bart receives a blue ribbon for first place, Milhouse emerges from the bushes, conveniently with amnesia. 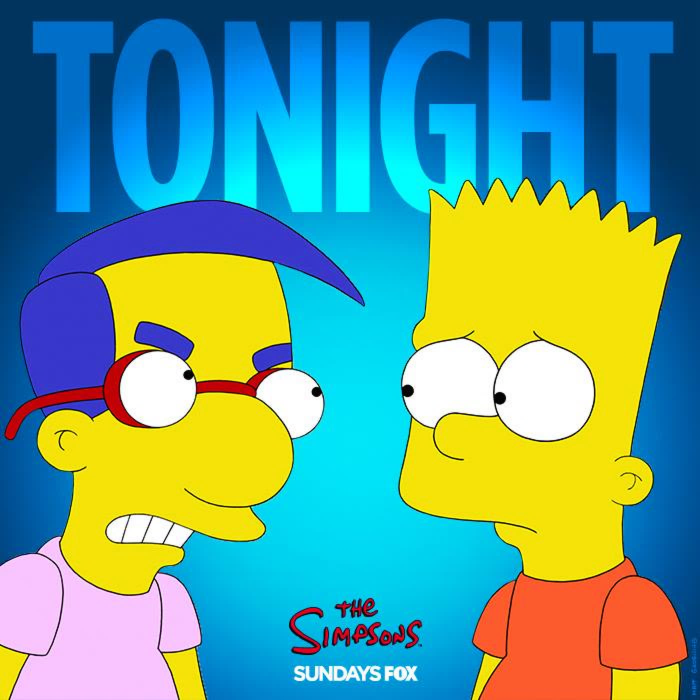 Although Bart has several chances to disclose to Milhouse what happened during the race, Bart lets the opportunities slip, even at a town ceremony honoring his victory. However, when one of the bullies slingshots at Milhouse's forehead, the memories come rushing back, with Milhouse remembering how Bart just stood idly by as Milhouse suffered beating after beating. The outraged townspeople chase Bart from the ceremony. Bart runs to the retirement home, to seek help from Grandpa, without much luck. Meanwhile, elsewhere, Homer finds Giuseppe, a man from his past who conducted firework shows, to execute a spectacular fireworks display for the town, but a fight breaks out when Giuseppe tells him that fireworks should start when the crowd gets irritated waiting and that America should really celebrate July 2nd as the day of independence. They end up flipping the fireworks towards the crowd. The fireworks go awry, yet Bart quickly thinks on his feet by stealing the Springfield Retirement Castle's handicap bus and driving it in front of the crowd, shielding them from the fireworks. He then sneaks out the back as Milhouse emerges from the bus, the crowd believing Milhouse saved them, which was Bart's plan all along. Wikisimpsons has a collection of images related to "The Yellow Badge of Cowardge". Modified on July 10, 2017, at 15:13.